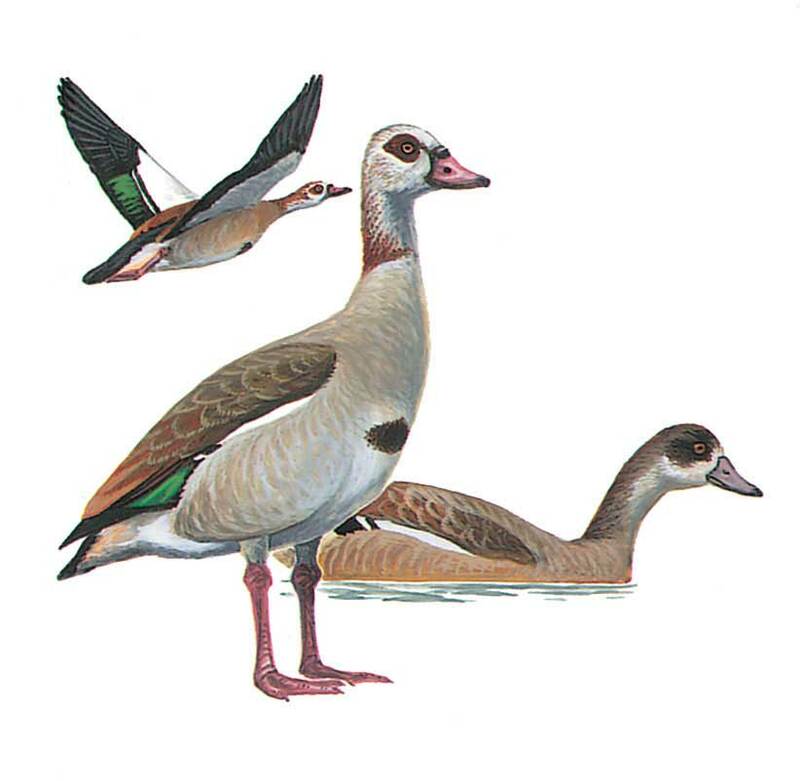 Slightly larger than a Ruddy Shelduck, has black flight feathers , green speculum and striking white forewing and underwing coverts. Otherwise brownish buff, with variable brownish or greyish upperparts, pale fore-neck and face with prominent dark eye patch, dark collar and belly patch. Legs are long and pink.